The last time we stayed at The Cobb Mansion in Virgina City, NV we were able to take a great tour of the home that included some great guacamole. 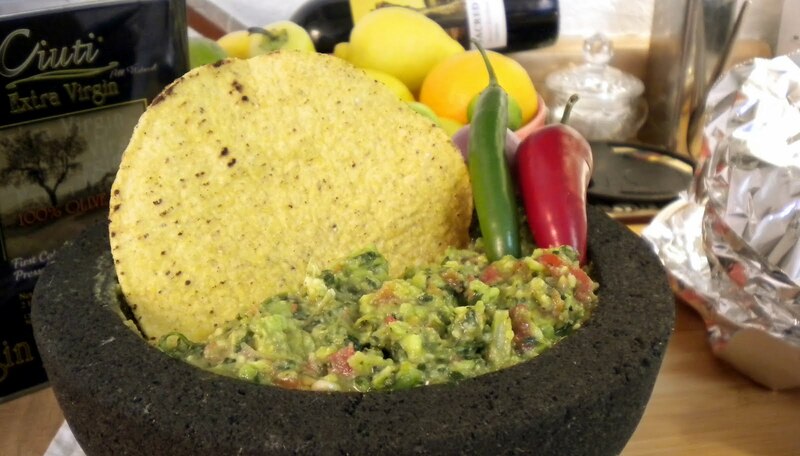 When we got to the kitchen Paul had his molcajete all ready to grind us up a tasty treat. We loved his recipe so much I wanted to share it on here as well as share how Zo and I make our Molcajete Guacamole. So really this post just celebrates all things Molecajete! Enjoy! Add oil and garlic to molcajete and grind until smooth. Add green onions, salt and cilantro and slightly grind. Now grind in Roma tomato and key lime juice. Add avocado and crush till consistency you want is met. Enjoy! Add oil garlic and jalapeno to molecajete and grind with pedestal until a paste is formed. Now add you green onion, salt and cilantro, grinding until cilantro and onions have become fragmented into small pieces. Press down and roll key lime around to loosen juices and then slice in half and squeeze all of the juice over your mixture. Stir with a fork, then add your pearl onion and roma tomato and grind until tomato is at your desired consistency. Add 1 avocado and grind until smooth. Add the last avocado and and fresh crack pepper, crushing them into mixture with fork until your desired consistency is found. Serve with tortilla chips and enjoy! Add oil garlic, chili pepper and jalapeno to molecajete and grind with pedestal until a paste is formed. Now add you green onion, salt and cilantro, grinding until cilantro and onions have become fragmented into small pieces. Press down and roll lime around to loosen juices and then slice in half and squeeze all of the juice over your mixture. Stir with a fork, then add your shallot and Roma tomato and grind until tomato is at your desired consistency. Add 1 avocado and grind until smooth. Add the last avocado and fresh crack pepper, crushing them into mixture with fork until your desired consistency is found. Serve with tortilla chips and enjoy! Thank you for posting this! I wanted to make this fantastic guacamole for my in-laws this weekend and had forgotten the recipe that Paul gave me at home. Cooking for Zo to the rescue! Glad we could help! Paul and Jeff are the best!